NORTH DRIVE PRESENTS THE AWARD-WINNING THE HIGH PARK. The High Park has raised the bar and was crowned by the Building Industry and Land Development Association (BILD) with Best Model Suite. 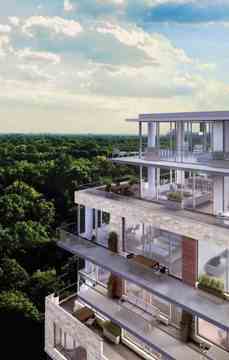 The High Park is a boutique condominium residence across from High Park on Bloor Street West at Parkview Gardens. Suites designed by Cecconi Simone with approx. 9 ft. ceilings for levels 2 through 8. The Penthouse Collection is comprised of Lower Penthouses (level 9) with approx. 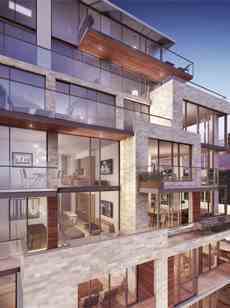 9ft ceilings and two-storey Upper Penthouses (levels 10/11) with approx. 10ft ceilings. Contemporary kitchen cabinetry custom designed in a variety of materials and colours. Bathroom and laundry areas has porcelain tiles. Contemporary kitchen cabinetry has a choice of granite or Corian kitchen countertop, with island. The High Park Condos is a new condo development by North Drive currently under construction at 1990 Bloor Street West, Toronto.The High Park is Toronto’s only boutique condominium that includes the 400 acres of High Park as its backyard. This new condo development is located at the walking distance of the High Park subway station.